I love balloons like kids love cupcakes. To me, they are beautiful and add excitement to any party. Because of this, I had to create the ultimate guide to the Best of Pinterest Party Balloon Ideas to show my love. From adorable balloon arches to whimsical balloon animals, I found it all. 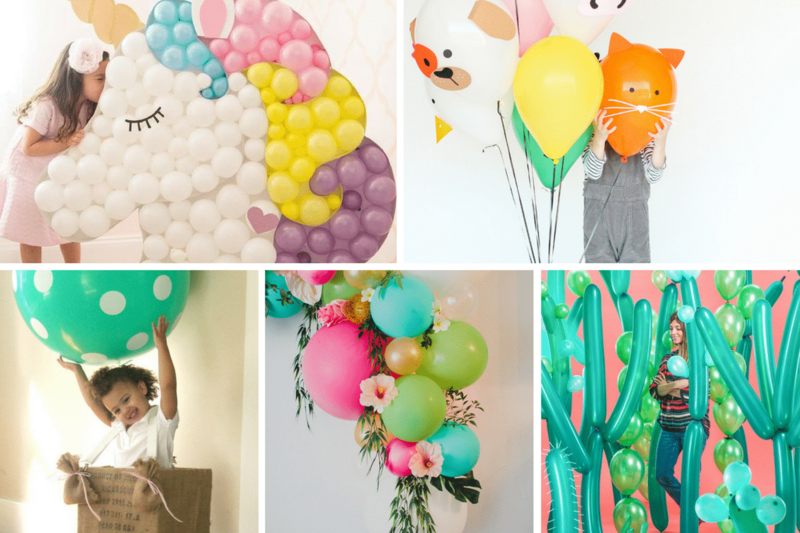 These 20 balloons decorations are the best of Pinterest, and if you just can’t get enough, you can check out of boards with hundreds of additional ideas. Do you need simple, effective party tips? You are in the right place. We believe there are just 3 steps to a successful party! 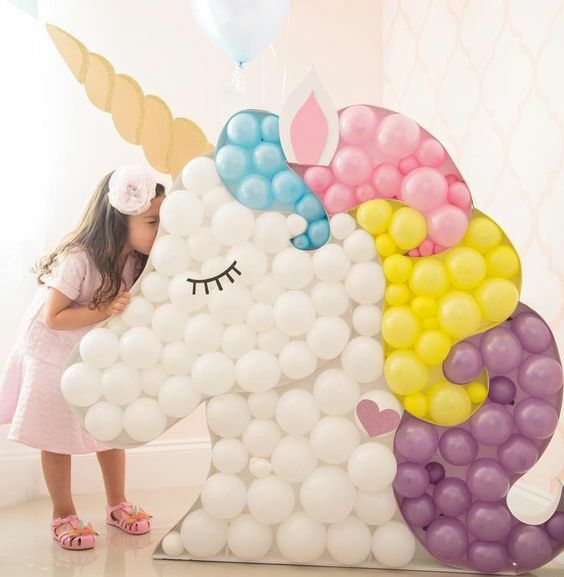 Let’s get this balloon party off to a good start with this whimsical unicorn balloon decoration for this little girls birthday party. You know my obsession with these mythical creatures, so this design knocked my socks off. I just want to hang it above my daughter’s bed and see it every day. If you don’t think balloons can be glamorous, then this will change your mind. 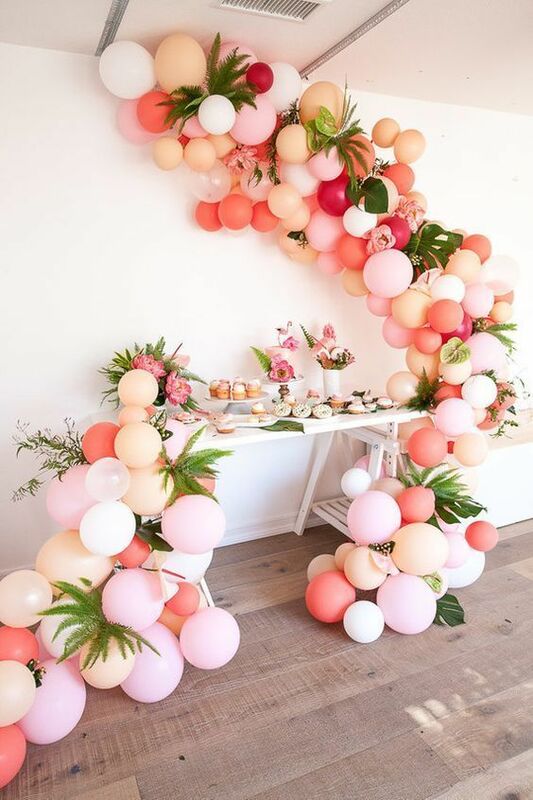 This sweeping garland in peach, pink and white with multi-size balloons, has a tropical vibe. This display would make a beautiful decoration for a baby shower or birthday party. Did you notice the little flamingos? What a sweet touch. Love is in the air, and this set up gives me all the feels. Fluttery, super happy feels. Okay, maids of honor listen up: You have to create this for your bridal shower! 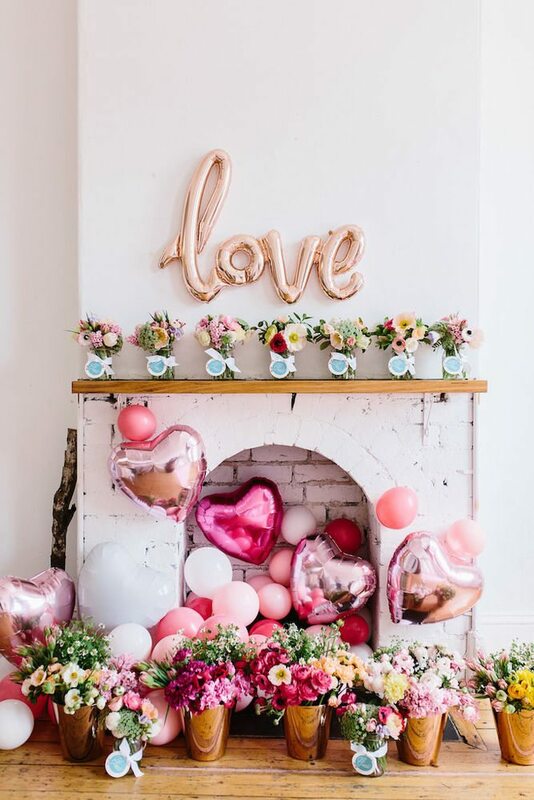 Think gorgeous flower arrangements, mylar balloons and a fireplace filled with whimsy. Your bride-to-be is worth it. 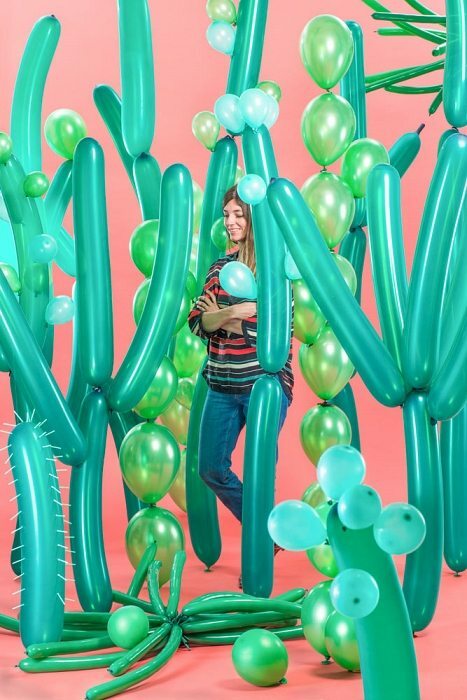 When tasked with creating a set for Architectural Digest, Sarah Illenberger created this amazing cactus balloon jungle. I love the details of each cactus and the color variations of green. It was also so cool how they were larger than life. Oh my word, this just makes me smile. 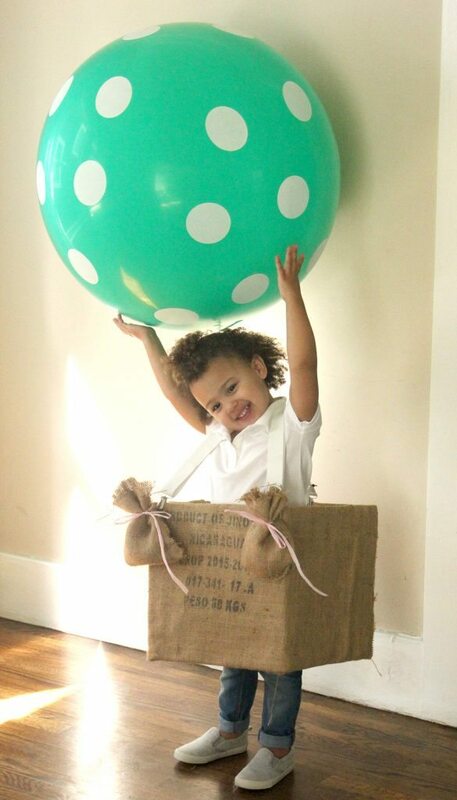 Not just because this costume has a giant polka dot balloon, but because that’s my little girl. She loved wearing this Halloween costume around. We were all laughing as she bounced around the doorways because it was so cute. Can I tell you a little bit about my parenting experience? My littlest girl is so happy and sweet, but she has a mind of her own. In this picture, she was about 2.5 years old. I asked her what she wanted to be for Halloween. I will admit I had something in mind: maybe the White Rabbit to go with my oldest’s Alice in Wonderland. Or perhaps a character from her favorite movie. But mostly, I envisioned something I could make quickly or buy on Etsy. Every time I asked she replied emphatically, “Balloon, Balloon.” I finally had my “I can do this” parenting moment and decided to make her dreams come true. These funny farm animals would make a great appearance at a kids birthday. I love the idea to have these balloons created by the kids at the party and taken home as favors. She has paper cutouts for a white chicken, spotted dog, pink pig, yellow chicken, and white cow. Get the templates and DIY here. When nothing but over-the-top will do, a balloon ceiling does the trick. 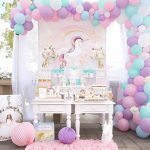 This set up we love was for Alison’s Candy Shoppe party. The room filled with colors, and it set a happy mood. If you have a dull room to decorate for an epic event this DIY could help you. And how easy would it be? Inflate the balloons, and let ’em go–just make sure you don’t have any open doorways or windows so that they stay where they should. 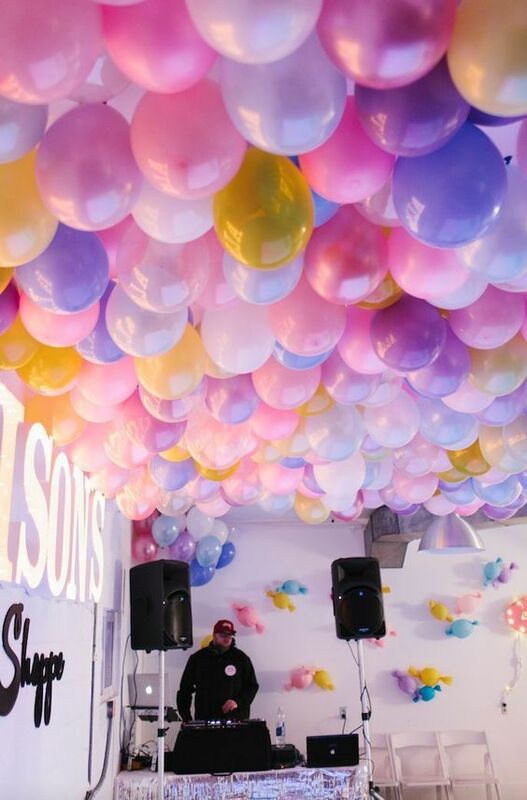 What type of party needs a balloon ceiling? Baby showers, kids birthdays, sorority parties and socials of any kind. This decorative balloon arch is so super gorgeous, and I love the jewel tones with the tropical flowers. 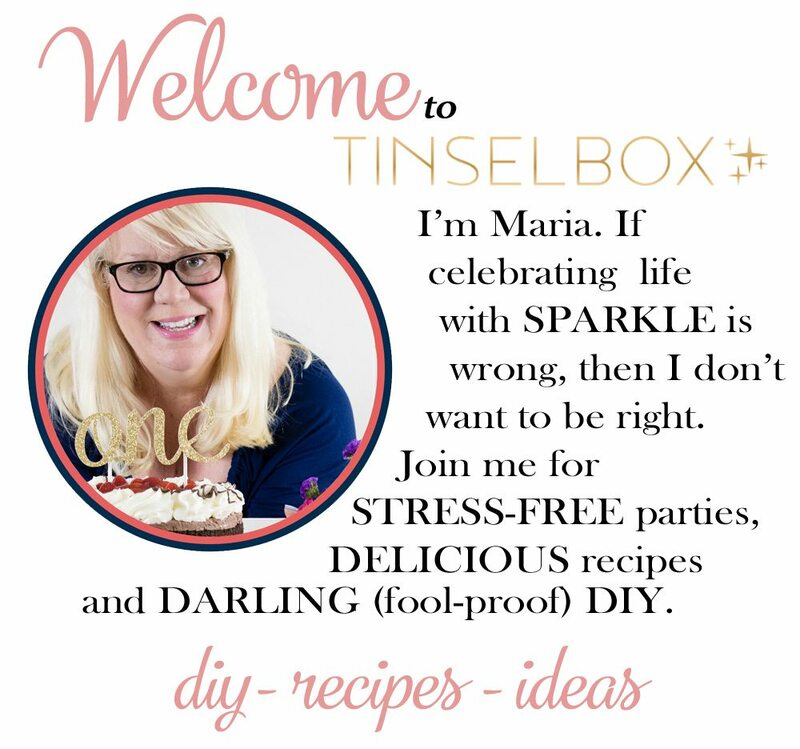 This post is one of my favorite DIYs. 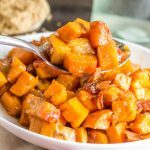 She shares lots of images and step by step how to. I could do this. I am 100% sure after reading this post. If you try this you must post your picture to Instagram with #greenweddingshoesdiy. They will re-gram their favorites. Did you know Teacher Appreciation Day is May 3rd? Of course, there are so many other opportunities to appreciate our teachers! 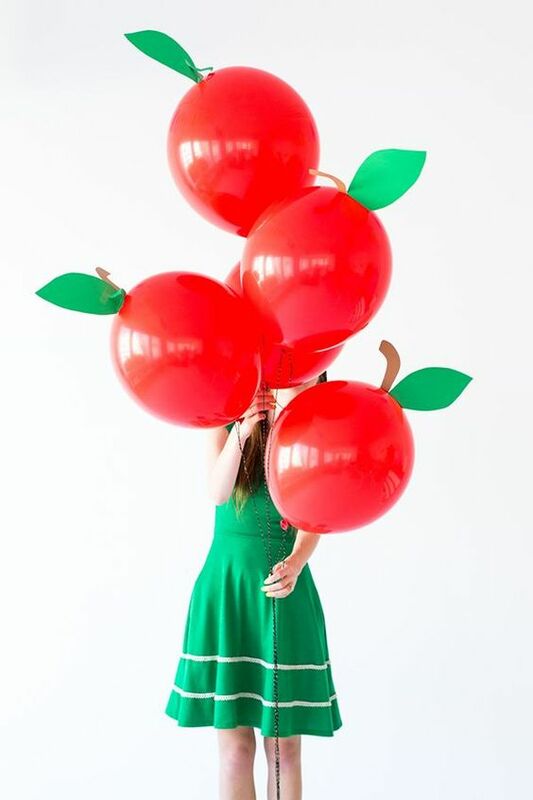 How cute would it be to bring a few of these balloons to class as a gift? These would also be great at a teachers retirement party! My mom was a teacher for 25 years, and she always received little gifts from her students. They always made her smile, but she has never seen anything like this! I am convinced that this bride and groom are the coolest people on Earth. 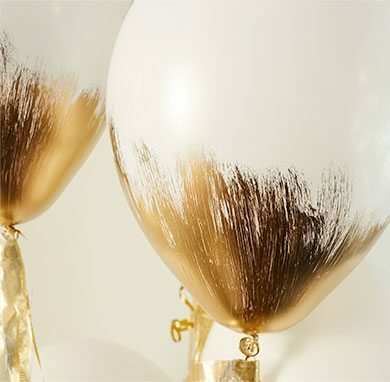 How could they not be with these festive balloons in each wedding aisle? The wedding venue was this gorgeous mansion with vintage elegance. This couple was so bold to mix in modern details. You need to see this wedding! It is one of a kind, and I’m not just saying that because this bride is my future best friend. Look for a taxidermy unicorn and giraffe wearing a hat and a dozen balloons. I mean, seriously love it. 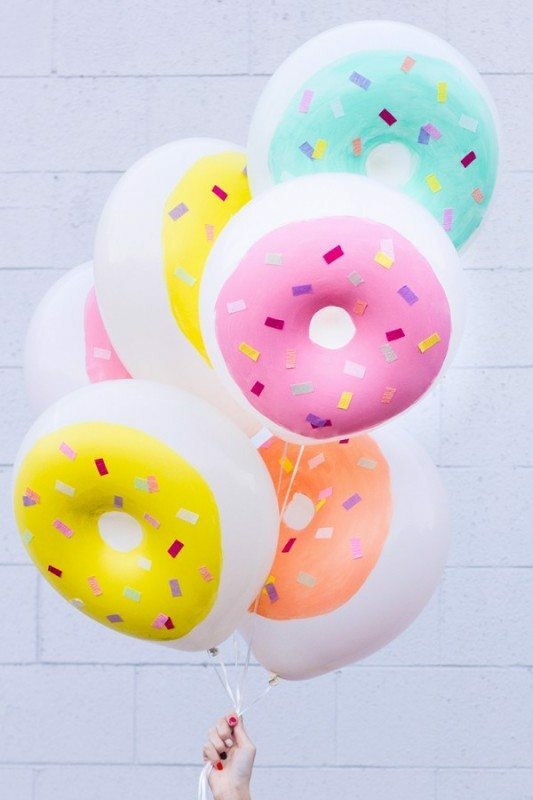 Don’t you think donuts make the cutest party decorations? I will at some point in my life throw a donut party. I haven’t yet but these DIY inflatables will be on the must-do list. When I do, I will have a wall with fresh donuts, donut invitations and I will make these Sprinkles Donut Marshmallow with hot chocolate. 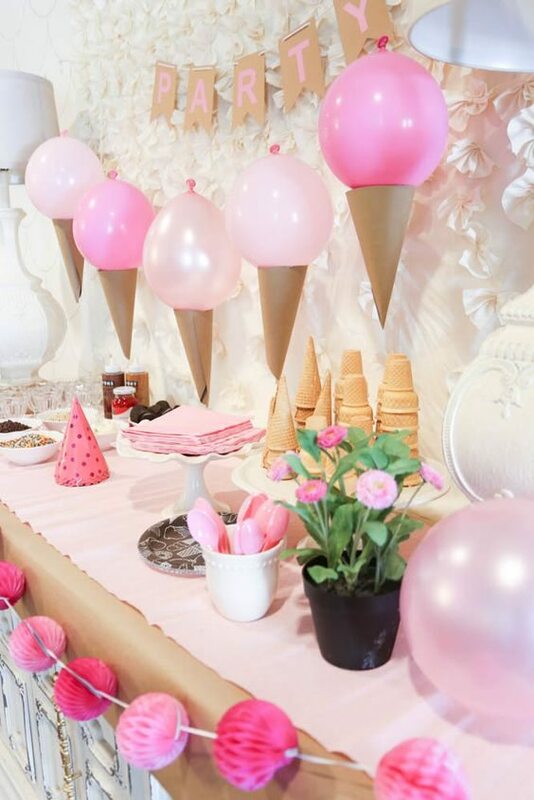 Let’s take a moment to love this cute ice cream balloon garland in its pastel pink shades. I love the creativity of making each one into an icy treat. Plus there is real ice cream at this party, so it’s the perfect way to say goodbye (or hello) to summer. Did you know ice cream was rumored to have been served first in 1553 for Catherine de Medici of Italy? It was a bit more savory and the recipe called for cream, milk, butter, and eggs. It was a rare and exotic treat for the wealthy, only to become popular with the masses in 1945. Of course, by that time it had lots of sugar. This giant balloon art emoji is one of the freshest ideas on Pinterest. There is no DIY blog post to link. 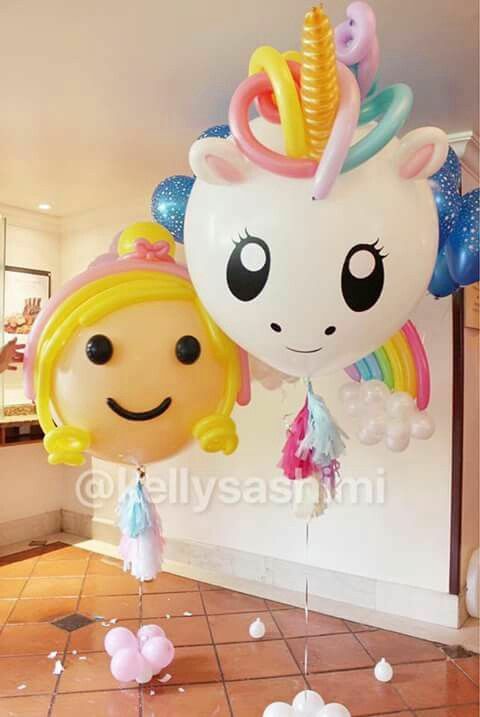 The balloon artist, Kelly Sashimi does amazing things with inflatables. We found some links to amazing work she has done which will blow your mind (no pun intended). 14. Heart Balloon Backdrop | Oh Happy Day! 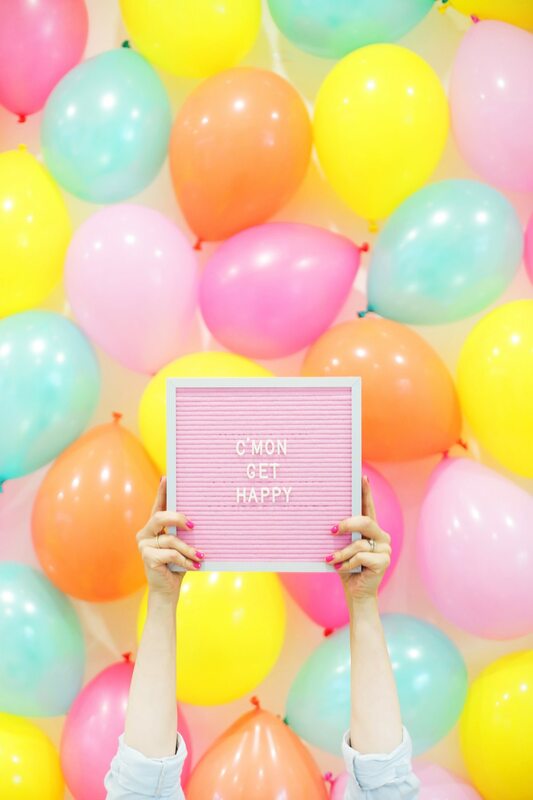 This could not be a Best of Pinterest Balloon DIY without a lot of love for Oh Happy Day. They do these inflatables justice for almost every occasion. 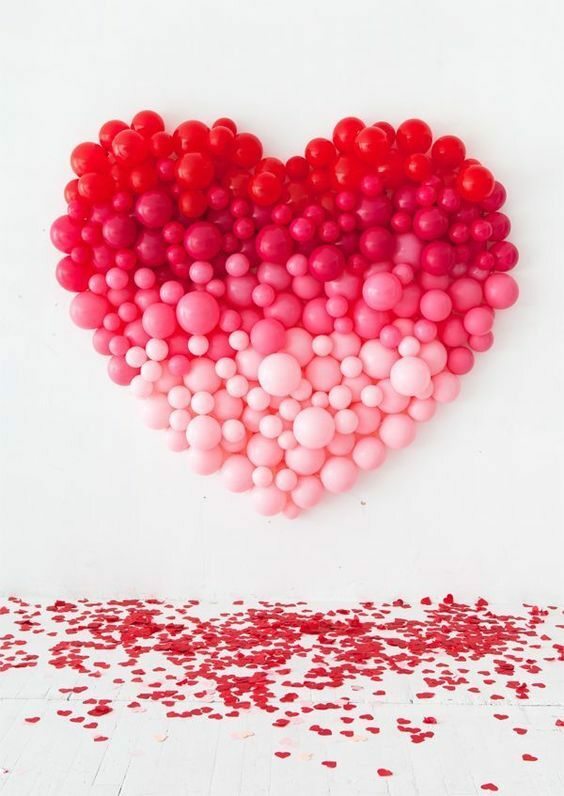 This giant ombre heart backdrop is amazing! Do you love someone this much? I have dreams of being able to do this in my studio and take Valentines shots with my kids. Anything fun made into fruits wins the day. 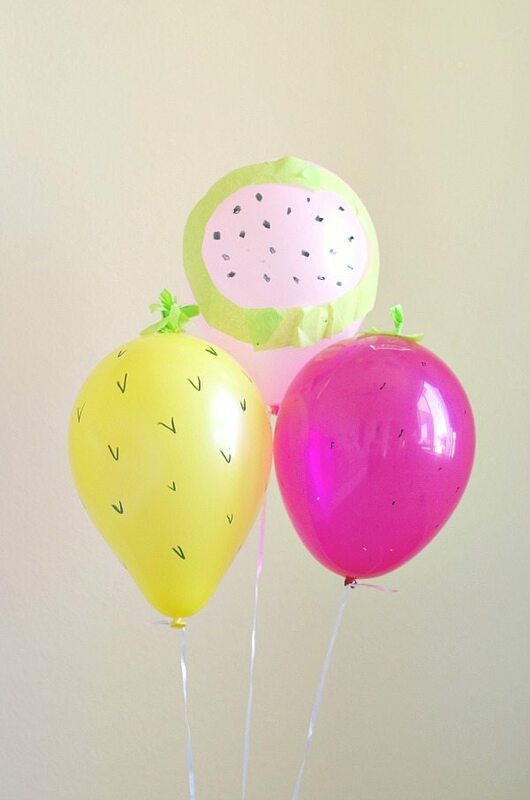 My favorite thing about this DIY balloon strawberries and pineapples have just a few steps. You know, not all of us are super crafty, but most of us LOVE a cute idea. All you need for this is a little tissue paper, colorful balloons, and a sharpie. Look at these adorable results. Leave it to this team to create these bright gold party decorations. They used gold paint and a chip brush to get this effect. Since I have gold at every party (I mean EVERY single party), I should just stock up on these supplies. I’ll be ready to execute this DIY at a moments notice. This vintage chest with the Tiffany blue toned desserts makes this the prettiest bridal shower set up I’ve seen in a long time. The soft peach and blue jewel tones are charming. 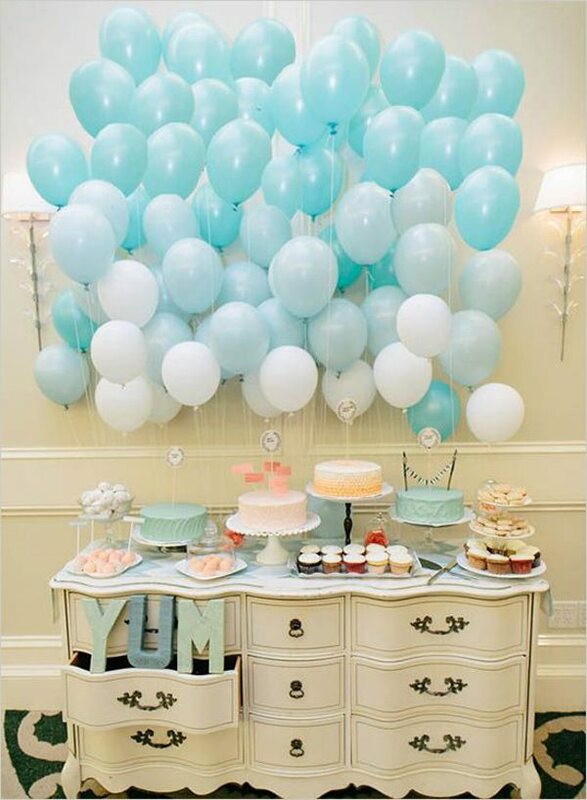 However, this balloon wall can happen in any color scheme. 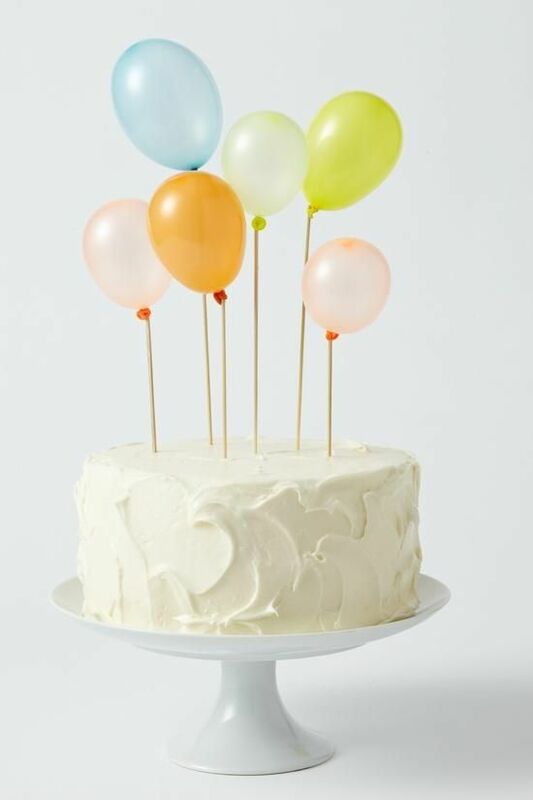 Bake a cake, frost with delightful buttercream frosting and add this DIY balloon topper. Balloon party commences and everyone cheers. This is such a simple, yet creative and darling idea. If you were having a summer party with water balloons, I think you want to make this DIY. It would be pretty hilarious and sweet. 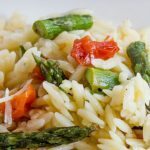 The perfect compliment to feed a dozen wet, hungry kids! 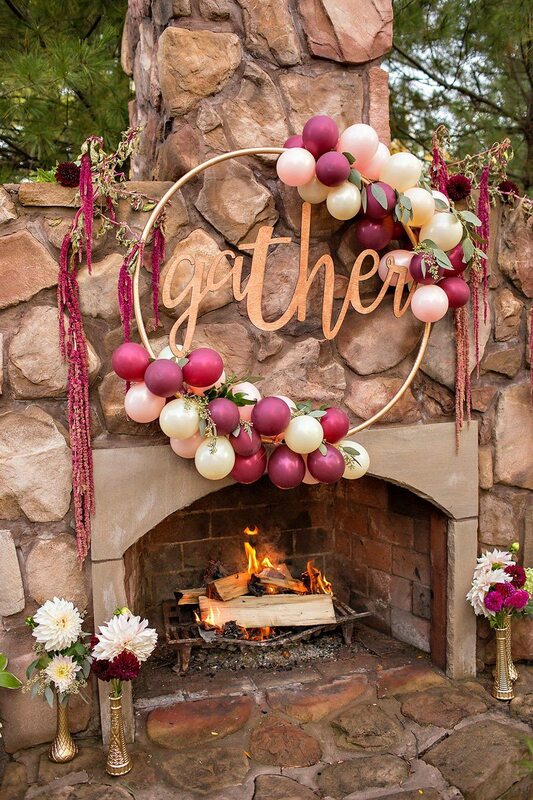 This Friendsgiving dinner party was complete with a gather wreath of balloons in wine tones. I can only imagine this sophisticated night of friendship was filled with laughter and joy. How could it not have been with this gorgeous balloon decor? I’m a little envious that I didn’t think of this idea for my friends. 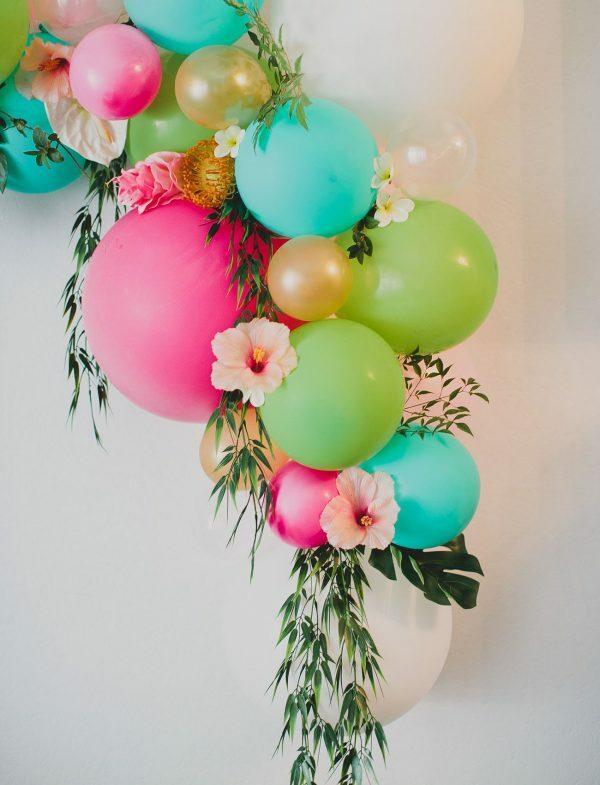 This fun DIY balloon backdrop insists that we party and have some fun. Bright colors, fun people, and a camera are all you need. I think this is the perfect ending to 20 of the best that Pinterest has to offer in party balloons. 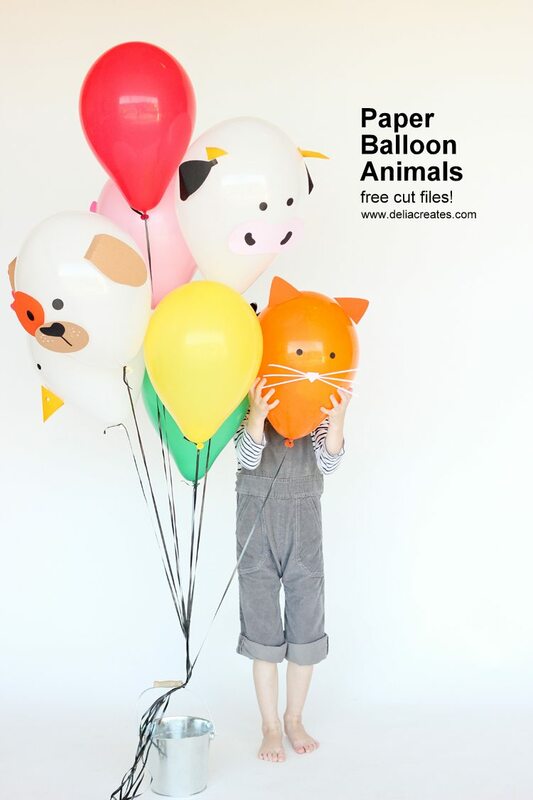 Follow our Balloon + Balloon DIY Pinterest board for lots more ideas! 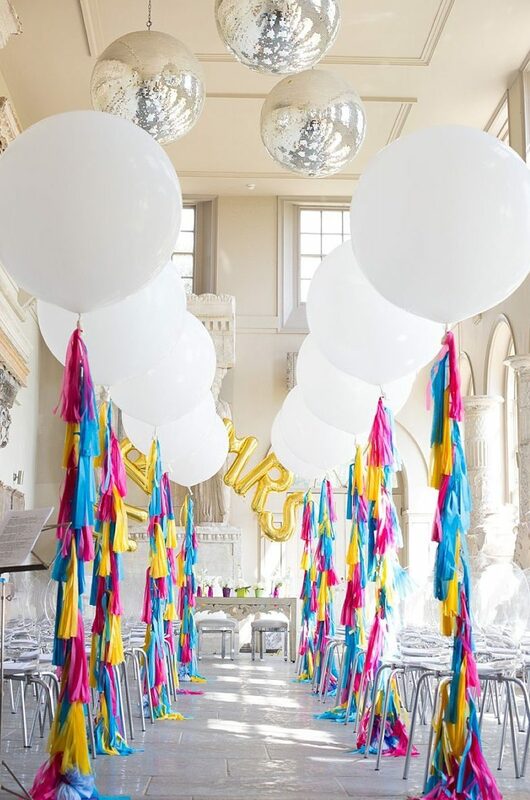 These are some really cool ideas for a balloon party! I also really love the giant, heart balloon backdrop, especially with the different shapes and sizes of different balloons. I’m really interested to learn more about how to make this, or to see some different designs that people have done with this.